Time to relax – time to rest the body so that the body becomes stronger and healthier. Time for the little death of Shavasana. Shavasana symbolizes the end of your practice – a natural completion to the journey you have been on. If you are practicing on your own, you may want to set a timer for your Shavasana. It is not uncommon for students to fall asleep. Falling asleep is okay, but most teachers prefer that you remain alert and aware while the body is relaxed. A timer will help rouse you at the end of the Shavasana. Decide how much time you need to relax. For an active yang practice, a good rule of thumb is to allow yourself 10% to 15% of your practice time. For the yin style, since the muscles were not used, a shorter period is okay – maybe 5% or 8% will suffice. However, check in with your inner guide and see how much time would be right today. Shavasana is not just a time to relax the body; in this quiet time the mind should remain alert, yet relaxed and aware of the body relaxing. Pay attention to the energies flowing. This is an ideal time to develop your ability to feel your energies. It is difficult to do this when you are in the postures. Practicing watching the energies during your Shavasana will assist you to feel energy flowing at other times. 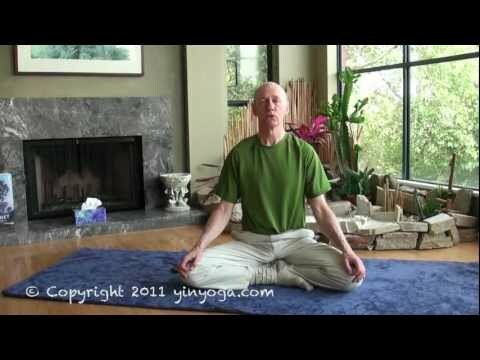 As you actively relax, watch the flow of Chi or prana into and out of the areas you worked in the asana practice. At first you may have to pretend, or imagine, you can feel these energies. Pretending will help you look closely at these areas. In time, you will notice the energy flow more easily. There are many ways to perform Shavasana, and many teachers have their own unique and favorite methods. Collect several ways of relaxing by taking classes with several teachers. With a larger repertoire, you can choose which way is best for any given day. The following suggestion is just one of the many possible options.